Our truck rate calculator, which is included with our trucking software subscription, examines all of your trucking expenses. We include your fixed expenses such as office rent and equipment payments as well as load related expenses to calculate a profitable truck load rate. 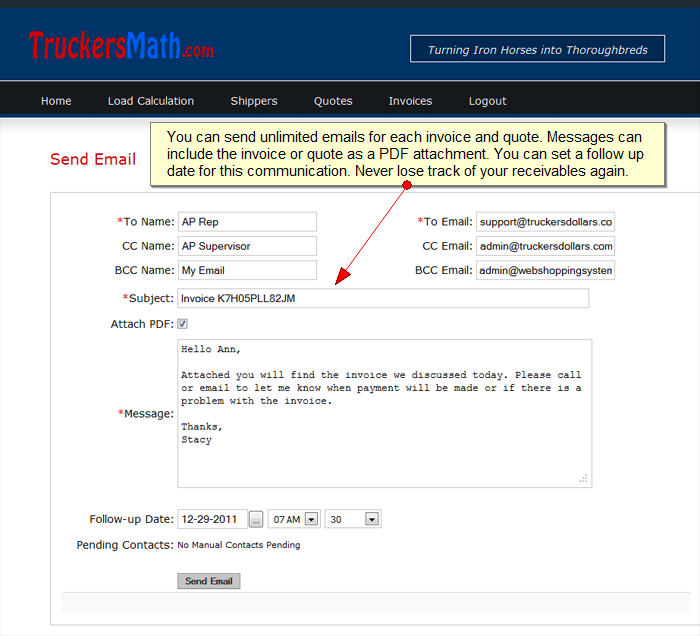 See our screenshot below for more information on our truck load calculator. Click Here to use our free truck rate calculator. Our trucking software captures trucking expenses in accordance with everyday trucking business practices. Expenses like the broker’s fee, permit fees, driver’s pay, equipment rental and other expenses can be entered as a flat rate, percentage or cost per mile. The transport rate is the rate you think the load is worth or the rate you were offered to transport the load. The desired net profit is the amount of money left after all expenses have been paid. 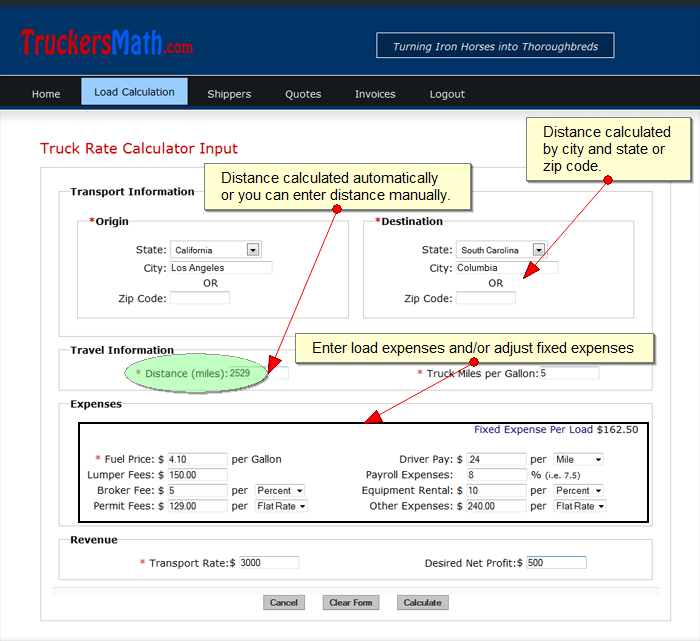 The truck rate calculator examines all of these trucking expenses including your fixed expenses. 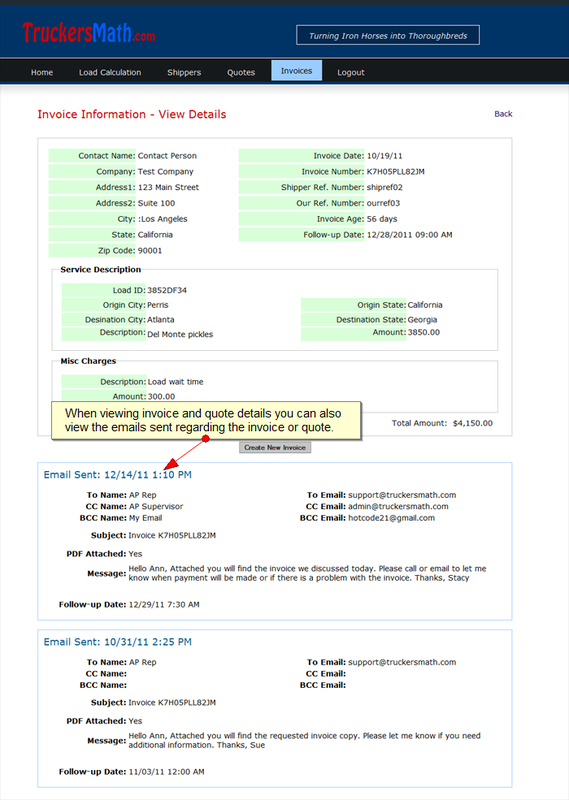 Fixed expenses do not have to be entered with each truck rate calculation. 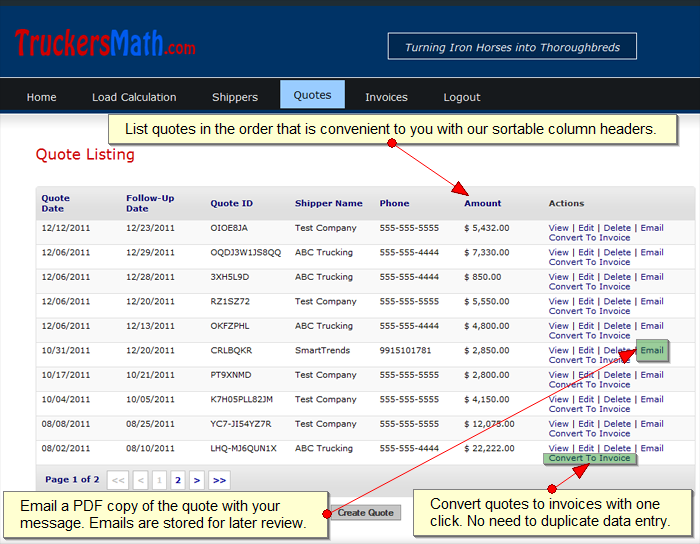 Click here to see the truck load calculator results. After reviewing all trucking related expenses the truck rate calculator presents you with all the information you need to charge a profitable yet competitive truck load rate. 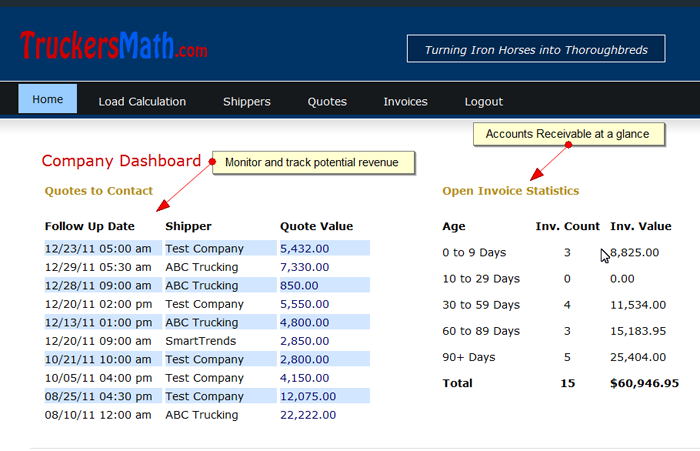 In the screenshot below you will see that our trucking calculator quickly totals each expense to provide you with valuable truck load information. Information such as total fuel price, fuel gallons and driver pay give you and indication of what a truck load will cost in an instant. Truck load expenses are totaled and compared to the transport rate you entered. 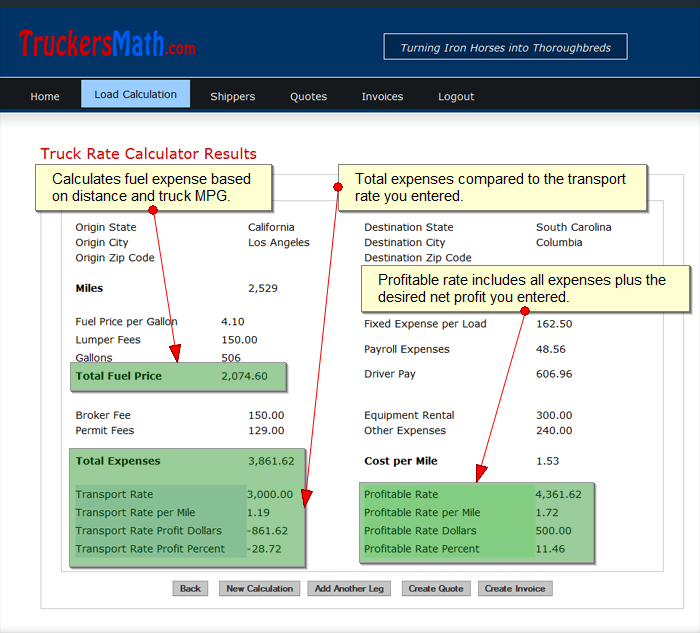 The truck load calculator states how much profit or loss is associated with your transport rate. 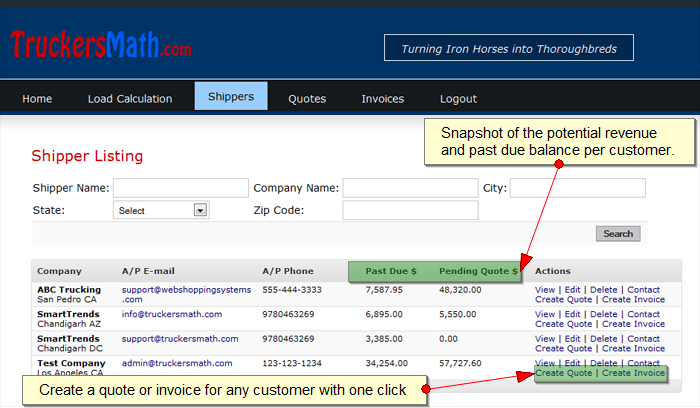 The truck rate calculator also considers the desired net profit you entered when calculating a profitable rate. The profitable rate is only a suggestion based on the calculator input. Click Here to see our truck rate calculator in action. 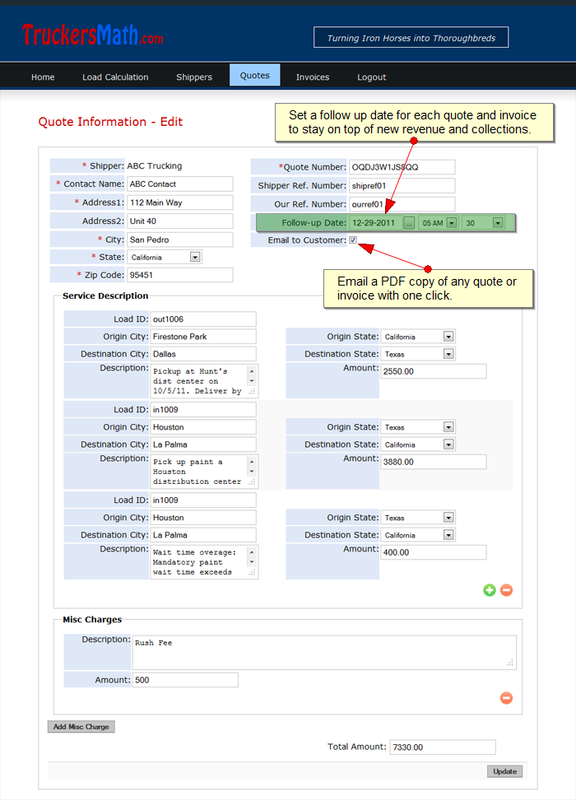 After reviewing the truck load calculator results you have the option to add another leg to your trip, create a quote, create an invoice or to start a new calculation. 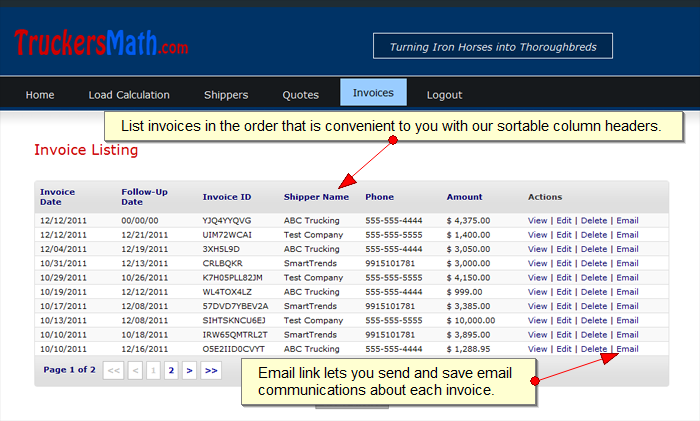 Quotes and invoices can be emailed from our trucking software with the click of a button.